The UN has sharply criticised the Iraqi government's human rights record, in the two months since a security plan was launched in the capital, Baghdad. The UN mission for Iraq said Iraqi authorities had failed to guarantee the basic rights of about 3,000 people they had detained in the operations. 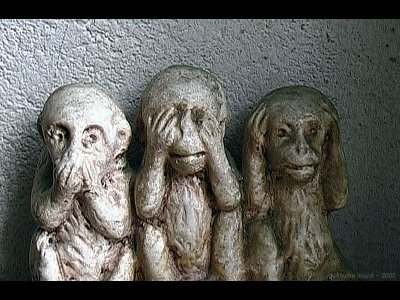 A statement from the office of Iraqi Prime Minister Nouri Maliki dismissed the report as lacking credibility. The UN Assistance Mission in Iraq report again called for access to Iraqi government files on civilian casualty figures. The Iraqi authorities disputed figures in the previous UN report. The UN said in January that 34,452 civilians were killed and more than 36,000 wounded in 2006. These figures were much higher than any issued by Iraqi government officials. The UN said those figures were provided by Iraqi government ministries. The UN report, which covers the period from the 1 January to 31 March 2007, said that some 3,000 thousand people have been arrested in security sweeps since the Baghdad security plan began in mid-February and it condemned Iraq for failing to guarantee due process rights to those taken in. It also criticised the court system in general saying that deliberations at some trials involving life imprisonment or the death penalty only lasted for minutes. Overall, more than 37,000 people are being held in Iraqi and American-run prisons, many of whom have not been charged or sent for trial. The report describes the situation in Iraq as a "rapidly worsening humanitarian crisis". It said daily living conditions were worsening despite billions of dollars earmarked for reconstruction efforts - an estimated 54% percent of Iraqis lived on less than a US dollar a day while the unemployment rate had risen to 60%. An interesting first hand account on the current 'surge' can be found here. Bigotted and vicious? Apply within. The jailed Palestinian professor Sami Al-Arian is claiming to have suffered new abuse at the hands of prison guards. Al-Arian has been transferred from North Carolina to a new prison in Virginia. He recently ended his 60-day hunger strike at the urging of his family. He had lost 53 pounds and become too weak to walk. Earlier today we spoke to Sami al-Arian’s daughter Laila for an update on Sami’s condition. Al-Arian remains in jail despite a jury’s failure over a year ago to return a single guilty verdict on any of the 17 charges brought against him. The U.S. government had accused him of being a leader of Palestinian Islamic Jihad. He eventually signed a plea deal with the government in exchange for being released and deported. He was scheduled to be released in April. But in January judge James Moody Jr. sentenced him to an additional 18 months in jail for refusing to testify before a Virginia grand jury. (AP) Turkey's military asked the government Thursday to approve attacks on Kurdish rebels in northern Iraq, signaling growing frustration over a lack of action against the guerrillas by Iraqi and U.S. forces. 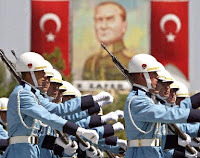 Such action could put an overstretched U.S. military in the middle of a fight between two crucial partners, the Turks and the Iraqi Kurds, and Washington urged Turkish restraint. A recent surge in Kurdish attacks in southeastern Turkey has increased the pressure on Turkey's military to act. "An operation into Iraq is necessary," Gen. Yasar Buyukanit told reporters. Buyukanit said the military already has launched operations against separatists in Turkey's predominantly Kurdish southeastern region bordering Iraq. "Our aim is to prevent them from taking positions in the region with the coming of spring," he said, adding the rebels generally intensify attacks as melting snow opens the mountain passes. Recent clashes have killed 10 soldiers and 29 guerrillas of the Kurdistan Workers Party, or PKK, Buyukanit said. His call steps up pressure on Prime Minister Recep Tayyip Erdogan to take a harder line against Kurdish guerrillas and their leaders in northern Iraq. There is strong public support for such a move, but the possibility of high casualties could make the government nervous ahead of elections that must be held by November. If Erdogan's government does ask parliament to approve an incursion, a key consequence would be strained ties with Washington — which fears an offensive would provoke a fierce reaction from Kurdish groups in Iraq that are key allies of U.S. forces. The United States also sees Turkey as a crucial ally, strategically straddling Europe and the Middle East. But some Turks question just how strong their ties should be with Washington if it refuses to side with them against the rebels. The Turkish authorities have been hinting as such a prospect for some time. Events in Iraq will spiral beyond recognition if Turkish troops are ordered across the border. The US-led and British-backed war on terror is only fuelling more violence by focusing on military solutions rather than on root causes, a think tank warned Wednesday. "The 'war on terror' is failing and actually increasing the likelihood of more terrorist attacks," the Oxford Research Group said in its study, titled "Beyond Terror: The Truth About The Real Threats To Our World." It said Britain and the United States have used military might to try to "keep the lid on" problems rather than trying to uproot the causes of terrorism. 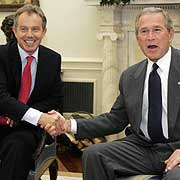 It said such an approach, particularly the 2003 invasion of Iraq, had actually heightened the risk of further terrorist atrocities on the scale of September 11, 2001. "Treating Iraq as part of the war on terror only spawned new terror in the region and created a combat training zone for jihadists," the report's authors argued. It pointed out that the Islamist Taliban movement is now resurgent, six years after it was overthrown in 2001 by the US-led invasion in the wake of the September 11 attacks. "Sustainable approaches" to fighting terrorism would involve the withdrawal of US-led forces from Iraq and their replacement with a United Nations stabilisation force, it said. It also recommended the provision of sustained aid for rebuilding and developing Iraq and Afghanistan as well as closing the US prison camp at Guantanamo Bay, Cuba, where most suspects are held without charge or trial. And it called for a "genuine commitment to a viable two-state solution to the Palestinian-Israeli conflict." The study warned that military intervention in Iran over its nuclear ambitions would be "disastrous," calling instead for a firm and public commitment to a diplomatic solution. See the CNN video report at the Source. In mid-September 2006, CNN invited retired Air Force Colonel Sam Gardiner, previously a strategic scholar at various U.S. Army War Colleges, to discuss the probability of a U.S. military strike against Iran. Responding on how close, in his opinion, the Bush Administration was away from giving the go-ahead order regarding Iran, Gardiner unmistakably said: "It’s been given. In fact, we’ve probably been executing military operations inside Iran for at least 18 months. The evidence is overwhelming." He is now promptly interrupted by his interviewer’s anticipatory obedience, who recalls that the President had underlined that he wanted diplomacy to work in order to convince the Iranian government to stop enriching uranium. Quoting Bush, in an interview by David Ignatius of the Washington Post from the day before, with the words "I would tell the Iranian people that we have no desire for conflict," CNN’s familiar face Wolf Blitzer turns back to Gardiner and repeats his initial question. Almost desperately the colonel replies with great emphasis: "We are conducting military operations inside Iran right now. The evidence is overwhelming, from both the Iranians [and] Americans, and Congressional sources." 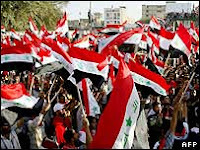 Thousands of Iraqi Shias have demonstrated in the holy city of Najaf, calling for US-led troops to leave Iraq. The protesters were responding to an appeal by cleric Moqtada Sadr, who branded US forces "your arch enemy" in a statement. The demonstration marks four years since US troops entered Baghdad and ended the rule of Saddam Hussein. Cuba yesterday slammed what it said was the US’ double standard on terrorism after a US federal judge ordered the release of an anti-Castro activist convicted in the deadly downing of a Cuban jet. “The court ruling is yet another confirmation of the George W. Bush administration’s double standard on its alleged war on terror,” the Cuban Communist Party newspaper Granma said. The ruling by a federal judge in Texas, does not necessarily mean former CIA operative Luis Posada Carriles, 79, will leave jail immediately, since he could be arrested by US immigration officials who have a deportation order for him. On Friday he was ordered freed pending a hearing on immigration fraud charges. The US judge ordered the Cuban-born Venezuelan national released on $350,000 on condition that he remain confined to his Miami home and submit to “electronic monitoring,” according to the text of the order by the federal court in El Paso, Texas. Posada Carriles, a fierce opponent of communist Cuban leader Fidel Castro, was accused of masterminding the downing of a Cuban jet off Barbados in 1976 in which 73 people were killed. He was detained in Venezuela in 1976 and convicted in the case, but fled prison in 1985. Previous articles about Luis Posada carriles can be found Here. Munich (dpa) - German prosecutors said Thursday they will make a new attempt to bring 13 CIA workers to justice for the abduction of a German-Lebanese citizen mistakenly suspected of terrorism. "We will submit an application for temporary custody in the United States," Chief Prosecutor August Stern said in Munich, two months after a court in the city issued arrest warrants for the 13. The suspects are believed to be the crew and passengers of an aircraft that flew Lebanese-born Khaled el-Masri from Macedonia to Afghanistan in 2003. Masri alleges he was secretly detained for five months in Kabul then dumped by his captors in Albania. His lawyers say he is an innocent victim of the CIA practice of the "extraordinary rendition" of terrorism suspects that has caused intense controversy in several European countries. Munich prosecutors said the new application will be relayed to US authorities via the Justice Ministry in Berlin. Most of the suspects live in the US state of North Carolina, according to German reports. Following a request by the Munich court, Interpol issued warrants for 10 of the 13 agents, accusing them of abduction and causing serious bodily harm. German officials say they expect little help from the US and the 13 are unlikely to be detained unless they return to a European Union country. Last month a US appeals court refused to allow Masri's lawsuit against former CIA director George Tenet to go to court. The US Fourth Circuit Court of Appeals in Richmond, Virginia upheld the decision of a lower court that said a trial could reveal state secrets and endanger national security. The suit charges Tenet knew Masri had been held even after the agency had realized his capture was a mistake. Masri says his main goal is an apology from the US government. He is also seeking damages of at least 75,000 dollars. Well that's 13 people who won't be coming to Europe for their vacation...unless...Interpol considers the CIA agents worthy of extraordinary rendition. Of course that will never happen, but that's no reason to ignore the obvious irony. ABC News is reporting the U.S. is engaged in a secret war with Iran. Since 2005, U.S. officials have been advising a Pakistani tribal militant group with ties to the Taliban on how to carry out deadly guerilla raids inside Iran. The Pakistani group – called Jundullah -- has taken responsibility for the deaths and kidnappings of more than a dozen Iranian soldiers and officials. Most recently, Jundullah took credit for a bus bombing that killed at least 11 members of the Iranian Revolutionary Guard in February. Officials say the U.S. relationship with Jundullah is arranged so that the U.S. provides no funding to the group, which would require an official presidential order or "finding" as well as congressional oversight. Some former CIA officers say the arrangement is reminiscent of how the U.S. government used proxy armies to destabilize the government of Nicaragua in the 1980s. 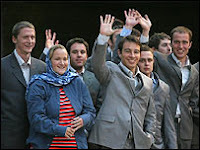 Iranian President Mahmoud Ahmadinejad has released the 15 British naval personnel captured in the Gulf. They will be handed to the British embassy in Tehran on Thursday morning, then flying home. Details ,Video ,Video ,Further reading. Certainly a victory for diplomacy over Sabre rattling and for smart suits over orange ones. A senior RAF officer asked fighter pilots whether they would consider suicide missions as a last resort to stop terrorists if their weapons had failed or they had run out of ammunition. During a training exercise, Air Vice-Marshal David Walker put it to newly qualified pilots that they should think of flying suicide missions in a "worst case scenario" when a terrorist attack was imminent. The head of the RAF's elite One Group who is in operational control of Typhoon, Tornado, Jaguar and Harrier fighters and bombers, is reported to have asked the pilots: "Would you think it unreasonable if I ordered you to fly your aircraft into the ground in order to destroy a vehicle carrying a Taliban or al-Qaida commander?" According to reports in today's Sun, he told them they knew when they signed up that they would have to risk their lives. The Ministry of Defence last night confirmed that the training exercise had taken place but stressed it was a hypothetical question to provoke thoughts as to what pilots would do if they were confronted with a situation in which they might die. "Air Vice-Marshal Walker did not say he would order his crews on suicide missions," the MoD said in a statement. "As part of a training exercise he wanted them to think about how they, and their commanders, would react faced with a life and death decision of the most extreme sort - for example, terrorists trying to fly an aircraft into a British city, being followed by an RAF fighter which suffers weapons failure. "These are decisions which, however unlikely and dreadful, service people may have to make and it is one of many reasons why the British people hold them in such high esteem." An MoD spokesperson added that Air Vice-Marshal Walker, who saw action in Iraq, was trying to make clear that all service personnel can be asked to lay down their lives. The comments distressed pilots who were present at the conference. "The idea of officers ordering personnel to commit suicide is disgusting," an unnamed officer told the Sun. Another said: "His idea of leadership is to suggest that it is within his power to authorise the first example of an ordered kamikaze attack in the RAF's 89-year history. He is subtly suggesting that if he wished he could order anyone in his command to die." So, the fine line of morality between 'us' and 'them' becomes increasingly blurred. The Bush administration promoted the misguided and destructive war in Iraq by targeting our concerns about vulnerability, injustice, distrust, superiority, and helplessness. The continued occupation of Iraq—or an attack on Iran—will likely be sold to us in much the same way. This video examines these warmongering appeals and describes how to counter them.